2) Swarajya – For Gandhi, Swarajya was important at the level of an individual. He believed that if man develops soul force and has control over his actions, there is no need of any external authority like the state for him. This influence on Gandhi is from Leo Tolstoy’s book “Kingdom of God within you”. 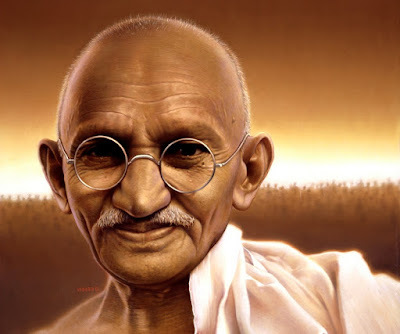 In his book Hind Swarajya, Gandhi mentions that Swarajya is not simply liberation from foreign rule but ensuring a life of dignity and equality of opportunity for all individuals which is possible in Ram Rajya. Gandhian idea of Swarajya is influenced by Upanishads, Ramcharitmanas and also by ideas of Aurobindo Ghosh.